Looking for the best bee killer sprays in 2019? Then you're in the right place! Out of the bee killer sprays we reviewed, we really liked the Spectracide Ground Bee and Wasp Spray because it is simple to use, gets deep into ground bee tunnels, and can turn into a foam filling up the nest ensuring bee killing success. The product comes with an extension so the foam reaches further into bee tunnels. This Spectracide bee killer additionally works on wasps and yellow jackets. No bee killer sprays are 100% effective and bees can be resilient. If one spray doesn't seem to work, it's important to try another since bee control can be an important part of pest management. If you're interested in learning more about bee killer sprays or want to read more about the other products we considered, see below! Want to skip all this research and just hire a decent exterminator for your bee problem? How to Properly Use a Bee Spray? Where and When To Spray? Bees are commonly seen in the spring and summer, flying around flowers and pollinating plants. However, they can also be a massive menace, especially since they can sting when disturbed. Here is where bee sprays come in. A bee spray is usually a pesticide designed to kill troublesome bees that lurk around humans and their property. The majority of bee-killing sprays are designed to target ground bees since they are numerous and one of the biggest pest problems encountered in the United States. In fact, 70% of the 20,000 bee species in the world live in the ground! The term, "ground bee" is just a catch all phrase used to describe any type of insect that looks like a bee and lives in the ground, so don't get too confused with the terminology. Most bee sprays use pyrethrins or permethrins, powerful pesticides found in most pest control sprays. A pyrethrin is a pesticide made from the chrysanthemum flower. They kill bees by overworking the insect's nervous system, leading to paralysis and eventual death. A permethrin is basically a synthetic pyrethrin that mimics the effects of the chrysanthemum flower Permethrins tend to be stabler and easier to use than the natural pyrethrin, making them a popular choice in bee killers. What Are the Risks of Bee-Killing Sprays? As with any pesticide, bee-killing sprays come with the risk of poisoning or making humans and animals sick. The spray should be kept away from areas where children and pets might go. The user needs to wear protection like goggles, gloves, and a breathing mask for full safety. Inhaling or ingesting pyrethrins or permethrins can lead to nausea, discomfort, and even death. Thankfully, permethrins do not absorb through the skin easily, so inhalation is the main threat. Some bee-killing sprays might also kill other bugs like spiders, wasps, beetles, and centipedes. We highly recommend first consulting with a local exterminator before using sprays or any other method to control bees, wasps, and any other stinging insect. Improper use can and will endanger you and your family. There are a couple of different ways to use a spray and all of them require protection. Protection from the pesticide use as well as the insect itself. If you have something to cover your eyes, hands, nose, and mouth (like a respirator) you should be in good shape for your bee removal job. When actually using the spray your goal should be to reach the nest and more importantly, the queen. Often inexperienced homeowners will simply spray the entrance way to the nest, rather then the nest itself resulting in an agitated bee population. Another thing NOT to do is completely close offor plug the entrance way to the nests in hopes that will starve them and kill them. If you have carpenter bees, chances are fairly good that they will chew there way out and continue own unimpeded. Read Also: How to pick the best respirator for insecticides? How Long Should the Spray Last? The majority of bee sprays last between 2-6 weeks. People who have heavily infested yards or properties will need to use the spray more often in order to deal with the bee population. The best time to spray for bees is at night when the most of the bees are reluctant to fly and and defend the nest and most of the colony will be present for the spraying. As mentioned earlier, one of the biggest mistakes most homeowners make is spraying an areas that "looks like" the nest, but is actually just a passageway the colony uses to go in and out of the actual nest. Another mistake is spraying during the day and getting stung. Take a look at the below video to show you how NOT to do it. This is another Spectracide product designed to be used outside, specifically on ground bees. The spray comes out as a foam which can sink into ground tunnels and hives, killing bees on contact. One of the benefits of this product is that it comes with an extension tube to reach deeper into ground bee tunnels. The spray and foam does not hurt grass or shrubs and should also work on wasps and yellow jackets. I recommend this product to people who struggle with ground bee populations and would like something easy to use and reliable. The container includes enough for multiple uses. The ingredients are not as effective on yellow jackets as it is on bees. The Bonide Spider and Ground Bee Killer is a permethrin dust which comes with a special tube applicator to make it easier for the dust to reach crevices. It works best when applied directly into ground bee tunnels and hives. Bonide Bee Killer contains .25% permethrin and works indoors and outdoors. It is effective on contact and can spread between bees by clinging to their hair, which then kills the rest of the hive. I recommend this product to people who want something effective and are willing to put extra work into using a bee killer. Spectracide Bug Stop is an indoor and outdoor bee killer which should last for multiple weeks. Unlike a lot of sprays, this one is used directly on the insects instead of on hives or nearby surfaces. This bee killer is non-staining and takes about 10-20 minutes to work accurately. The odor is a bit strong and the spray does not work on similar flying insects such as yellow jackets, wasps, or hornets. I recommend the Spectracide Bug Stop to individuals who frequently find bees inside of their homes. 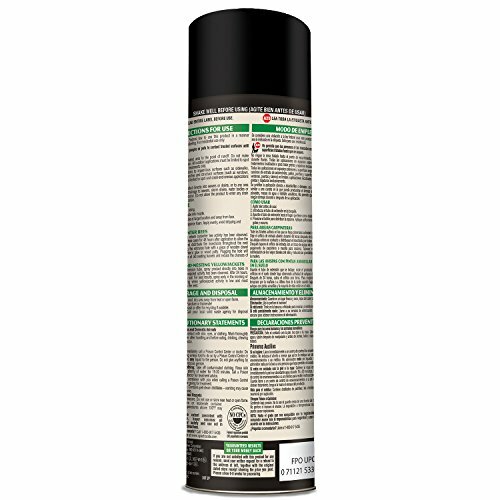 This spray is a white dust that contains strong ingredients, including 1% pyrethrin. The product comes in a bottle with a sprayer and should be applied directly to the ground or to bees so they die quickly. 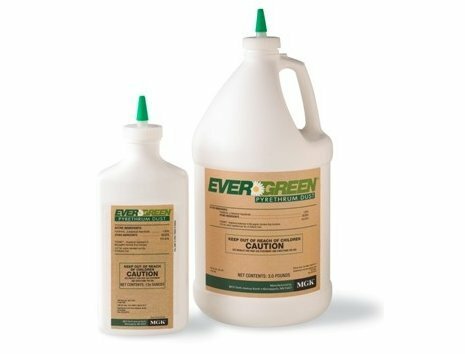 Each bottle of Evergreen Pyrethrin Dust comes with 10 oz. of bee killer and works best when applied to cracks and crevices. The dust should last for 2 weeks to 2 months, depending on how much is used. Because the dust has a higher chance of becoming airborne, I recommend Evergreen Pyrethrin Dust to individuals who have serious bee problems and need something quick and effective. Bees can build massive underground tunnels and hives, which means they can be difficult to reach. Any spray used needs to be able to catch the insects to work effectively. Curious about other bee related products? Check out our other detailed guides to help you deal with your pest problems.